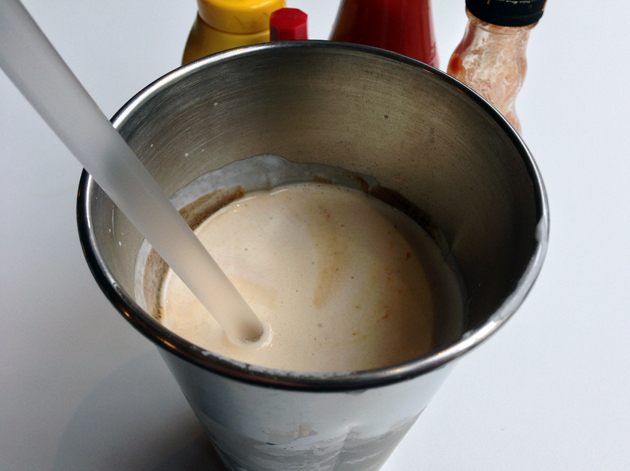 Burger and Shake vs Burger and Lobster review – which one is better? 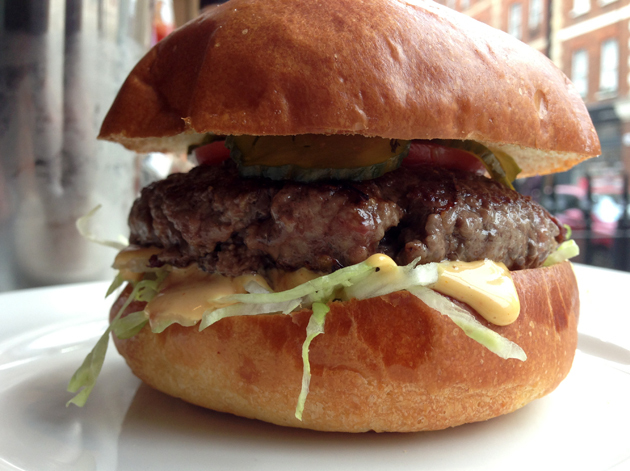 It’d be easy to dismiss Burger and Shake as a mere imitator of Burger and Lobster. Both serve burgers and lobster rolls, but the two do have their differences. 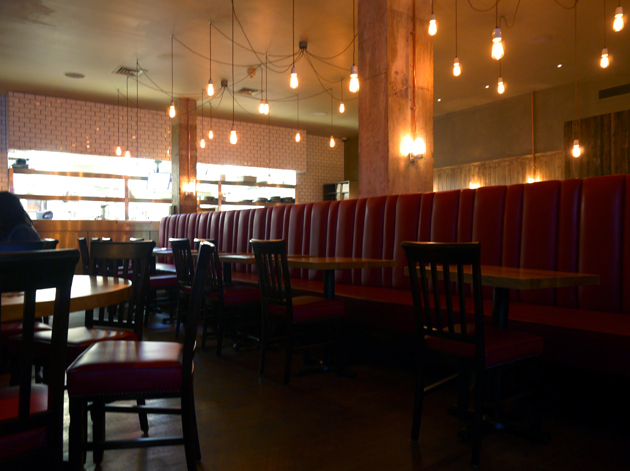 Whereas Burger and Lobster is a spin-off chain of the Goodmans steak empire, Burger and Shake is an independent. The Mayfair and Soho branches of Burger and Lobster have a rather dark, clubby feel to them whereas Burger and Shake has a lighter, more diner-like feel to the place. More substantively, Burger and Shake also has other items on the menu such as hot dogs and hot wings. Naturally, I had to eat at both of them and see how they fared against each other. I’ve been to both the original Green Park and Soho branches of Burger and Lobster before, but this was a good opportunity to revisit the Soho outpost. 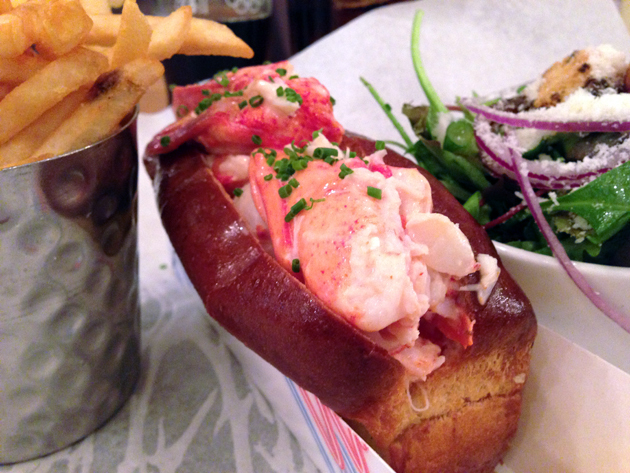 The single-price menu is pretty simple – £20 for a burger, a lobster or a lobster roll. Fries and salad included. 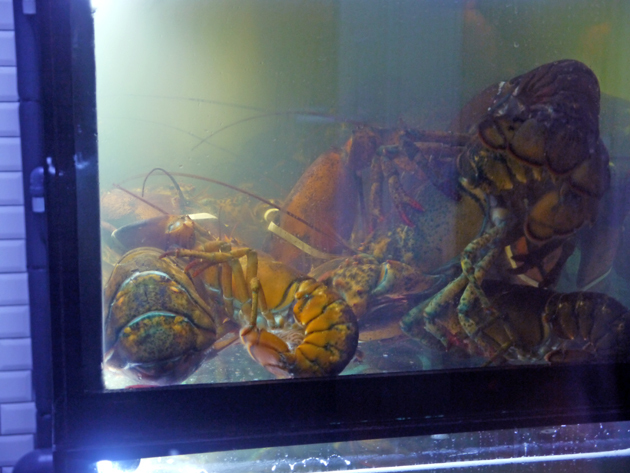 Sadly, you can’t actually choose your lobster from the display tanks. 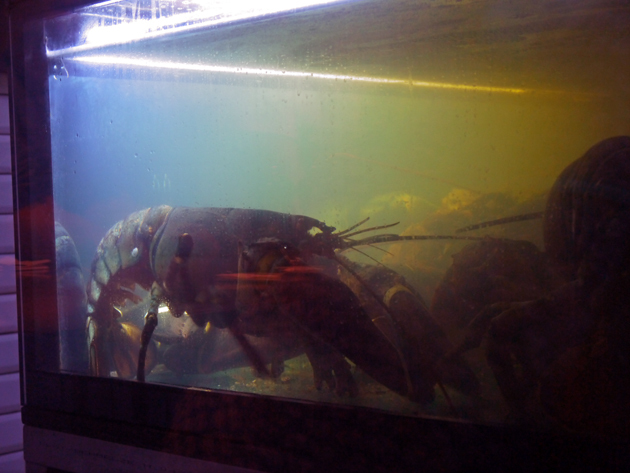 The lobster can be ordered steamed or steamed and grilled. I opted for latter and the result is a lobster that is charred and a little smoky, but the flesh is still firm and retains a slight milkiness to it that’s very pleasing. 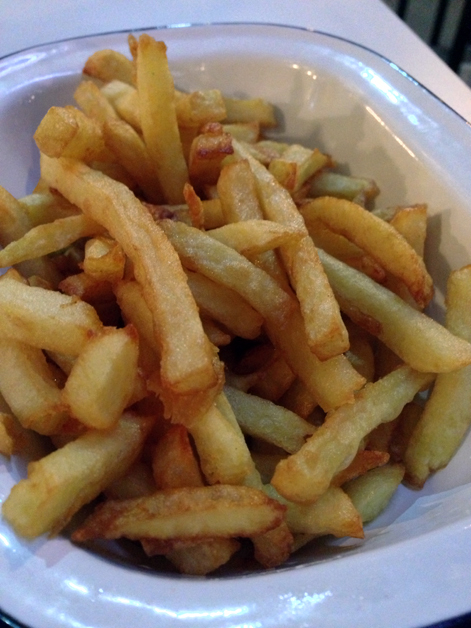 The accompanying fries are good enough – thin, reasonably crisp and bitty on the inside. The side salad is rather earthy, dressed in a sharp balsamic vinaigrette and topped with crisp croutons. Having the lobster roll instead of the whole crustacean may seem odd, but it’s a more convenient and less messy way of shovelling almost the same amount of seafood into your mouth. The doorstop of a toasted roll is surprisingly large. It’s crisp, buttery and does a good job of holding in the filling with almost no spillage. Compared to previous renditions of the same dish at the Mayfair branch though, the lobster filling was oddly uneven. Some of the milky lobster chunks were chilled whereas others were warm, but at least all were reasonably firm. Regular readers will recognise Burger and Lobster as one of the winners of my massive burger round-up and thankfully the burger here is still excellent. The moderately coarse patty cooked medium rare has an attractive quiveringly pink colour and was moist with a rich tanginess that was very satisfying. It’s heavily stacked though with lots of onions, lettuce and heavily chilled tomatoes. The mildly buttery buns struggled to hold it all together and eventually disintegrated which is not ideal as once you’ve picked this burger up, you can’t put it down again. Not that you’d want to. Even with the new construction issues, this is still one of the best burgers in London. Burger and Lobster’s desserts are usually of the ice cream or mousse-in-a-cup variety. 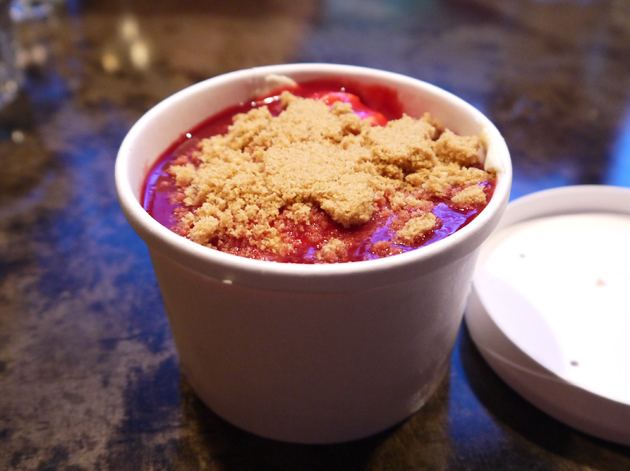 A prime example is the berry and biscotti cheesecake mousse which, apart from the coarse, fine crumbed biscotti, greatly resembles a Cornetto in a cup. Nothing to write home about, but it will satisfy your sweet tooth if you can’t be bothered to waddle off somewhere else after polishing off your mains. A cheesecake mousse? What witchcraft is this? Burger and Shake doesn’t serve up lobster separately, just as part of its lobster roll. It’s not radically different from Burger and Lobster’s version, but there are some differences. The soft, buttery brioche roll is a little thick and can get in the way of the lobster filling which feels precariously placed and in perpetual danger of spilling out. The bun doesn’t have the same crisp, golden, toasted exterior either. 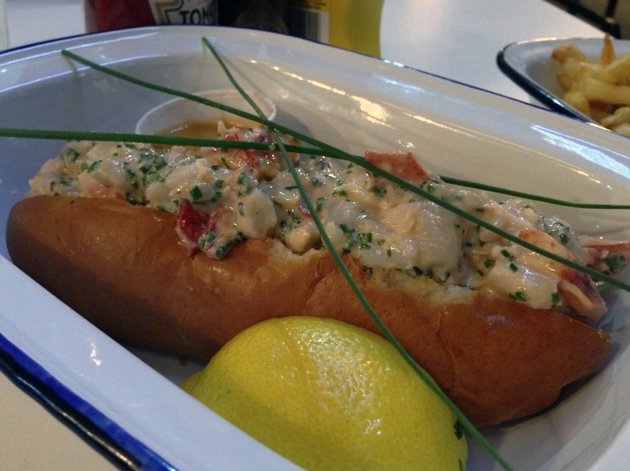 The lobster filling itself is arguably better than its counterpart at Burger and Lobster though. The flesh isn’t as milky, but it is firm and flavoured with a sprinkling of chives, while the bisque-style sauce reinforces the fresh, distinctive taste of the crustacean. The accompanying fries, included in the price with the lobster roll but otherwise sold separately, are bitty on the inside but they are also reasonably crisp, golden and thankfully free of excess oil. I’d much rather have chips. 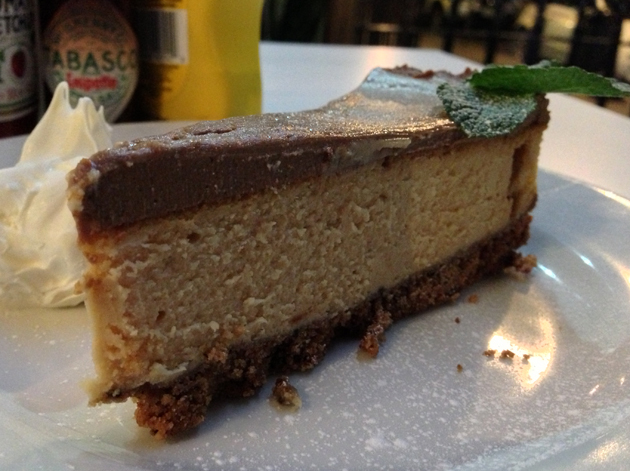 There’s only one dessert on the menu, a chocolate and peanut butter cheesecake served with mascarpone. There’s not much chocolate in this dessert, but it’s still far better than any of the desserts available at Burger and Lobster. The hearty slab of cheesecake has a distinct, but not overpowering taste of peanut. Its slight viscosity helps capture the texture of peanut butter, while the thick and dense mascarpone adds a much needed dollop of moistness. Peanut butter jelly time! Well, without the jelly. Burger and Shake may not have a separate lobster dish, but it does serve up both beef and pork hot dogs. 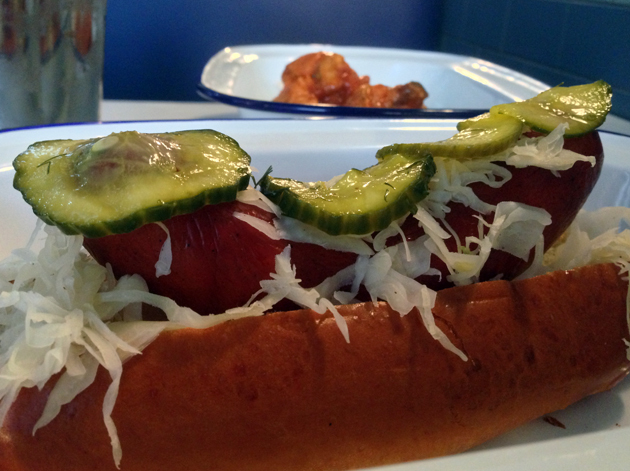 Like the lobster roll, the pork dog is oddly constructed. It sits uneasily in its bun with the dill-flecked pickle slices perched on top and shreds of sauerkraut scattered about. There was surprisingly little spillage though, but the flavours of this hot dog were surprisingly muted. The dog was smooth, but only lightly smoky while the sauerkraut is dry and rather bland. Only the dill-flavoured pickles stand out. The buffalo hot wings were also underwhelming. 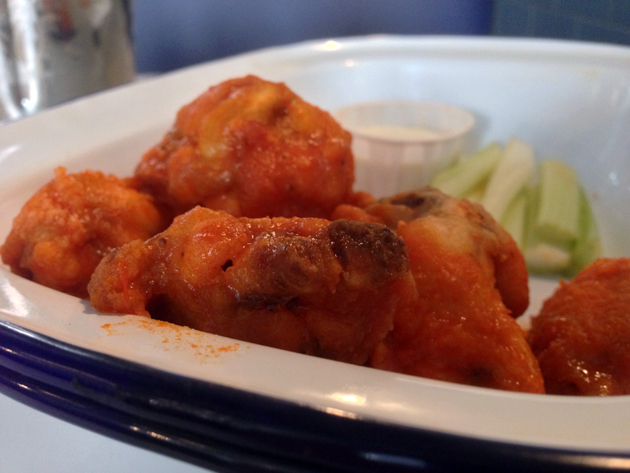 The coating of Cayenne pepper hot sauce gave the wings a mildly tingly heat. It’s not potent enough for true spice aficionados, but it might be enough to scare away the lilly-livered who think Nik Naks are ferociously hot. Even if they were spicier, these wings can’t compare in either texture or taste to Patty and Bun’s superlative confit chicken wings. 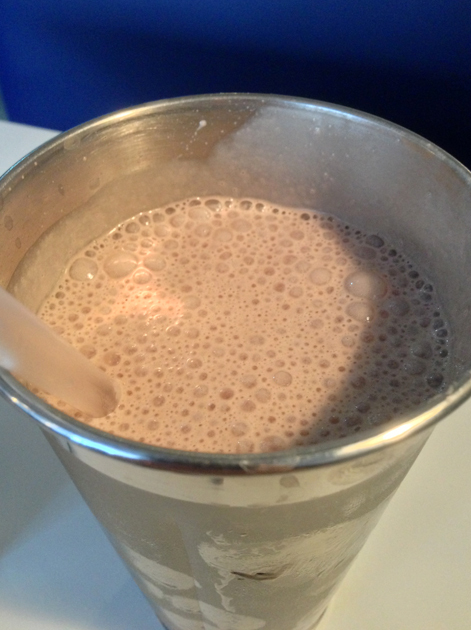 Naturally, given the name, there are milkshakes on the menu. The chocolate version is smooth, creamy and not too thick or sickly sweet. It only has a very mild milk chocolate flavour though. The salted caramel milkshake is similar, but there’s hardly any saltiness to it making this a timid shadow of a salted caramel shake at best. Although ostensibly cooked medium rare, the burger I had varied from medium rare to medium but the moist, smoothly ground patty was still lightly tangy with a slight chewy edge to it. Surprisingly, the sweet, creamy burger sauce didn’t overwhelm the beef while the soft, buttery brioche bun did a good job of holding everything together. Overall it’s a good burger but it’s not as good as the best burgers in London, which includes Burger and Lobster’s own effort. I’m not usually a fan of coleslaw, but Burger and Shake’s version is not bad. 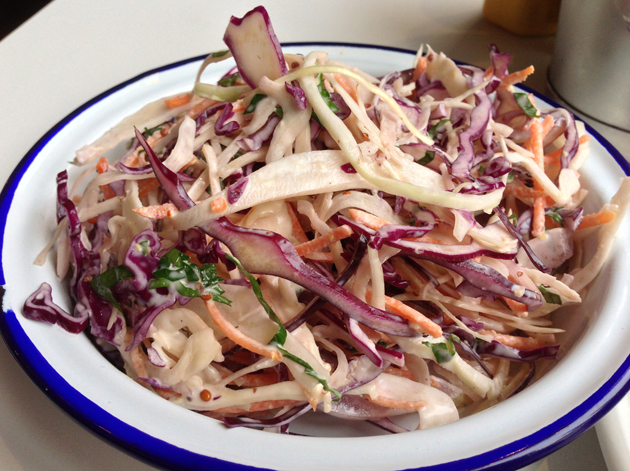 The cabbage and carrot shreds are firm and crisp with an added zing in the form of parsley and onion. It’s not doused in a truck load of sickly cream either, which is either a good or a bad thing depending on your point of view. When it comes to burgers, it’s no contest. Burger and Lobster’s effort is far tastier than Burger and Shake’s, although the unwieldy construction of the Burger and Lobster sandwich is a little worrying. It was a harder fought battle when it came to the crustaceans though. Burger and Shake’s lobster roll is arguably just as good as Burger and Lobster’s and ultimately you can’t go wrong with either one. 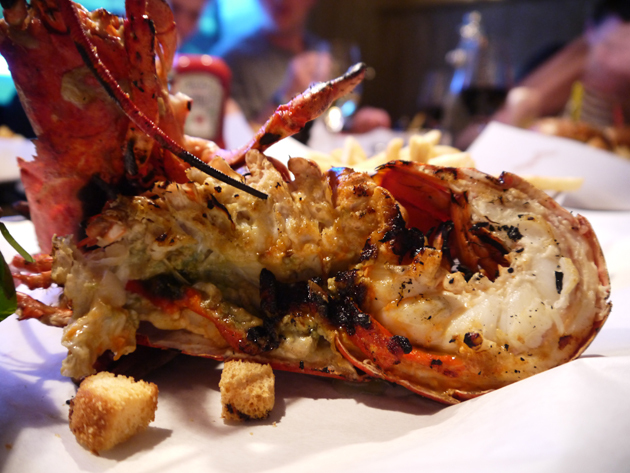 Although it’s a little unfair to ding Burger and Shake for a dish they don’t have, the skillfully cooked and delicious whole lobster at Burger and Lobster can’t be ignored and this alone helps this burgeoning chain claim the overall winner’s spot. Opening Hours: Monday-Friday, noon-15.00 and 17.30-22.30. Saturday noon-22.30. Closed Sundays. Total cost for one person including drinks: £20-25 approx. 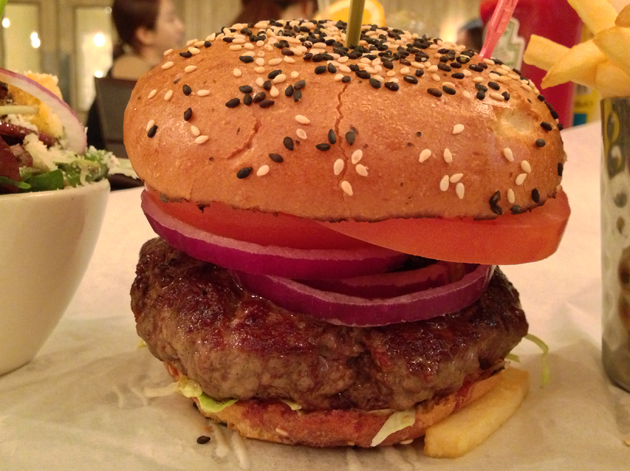 Tags: burger, burger and lobster, burger and shake, hot dog, lobster, london, milkshake, restaurant, review, roll. Bookmark the permalink.